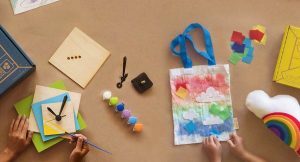 Brick Loot is a subscription box for children (or adults) who love creating with LEGO and Brick. 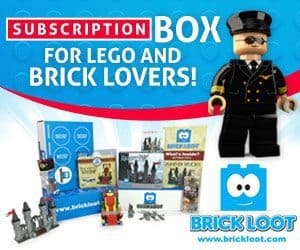 Each Brick Loot monthly subscription box has unique, custom, and never-before-seen creations which work with LEGO and custom building projects. 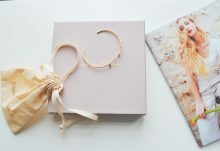 Each subscription box is filled with 4-8 items hand-curated by Brick specialists who scour worldwide for the latest and greatest features. With today’s Brick Loot review, I’m unboxing the August 2017 Brick Loot subscription box. 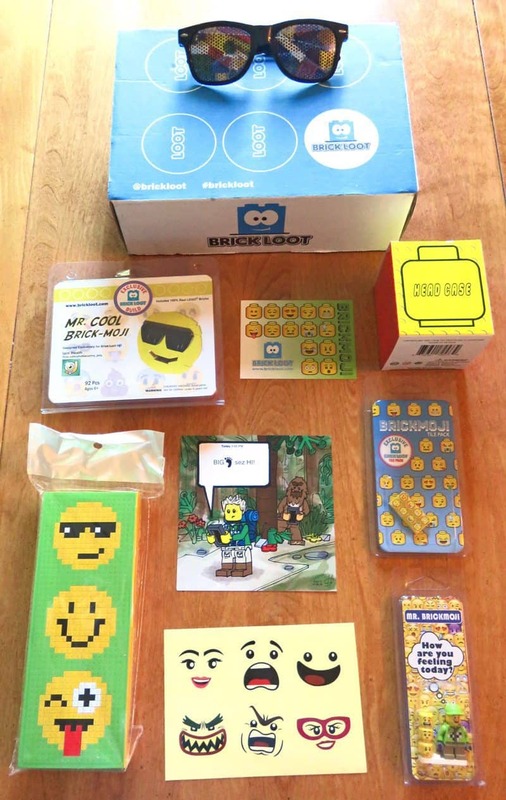 The August 2017 Brick Loot box theme is “Brickmoji.” There are 7 featured items: 2 builds, exclusive tile, Minifigure, exclusive art print, case with stickers, sunglasses, plus a sticker with the monthly theme. Mr. 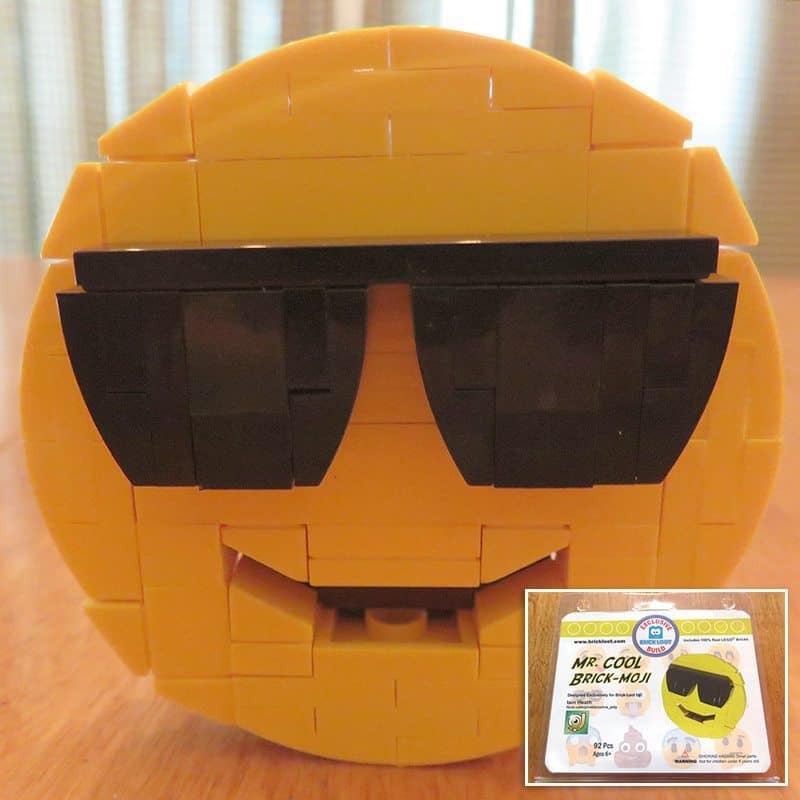 Cool Brick-Moji, an exclusive 100% LEGO build and designed by Iain Heath. Iain loves to parody pop culture and is known for his “Bricks of Character” LEGO creations. A website of his creations is listed on the card included in the box. Head Case + Sticker Sheet. 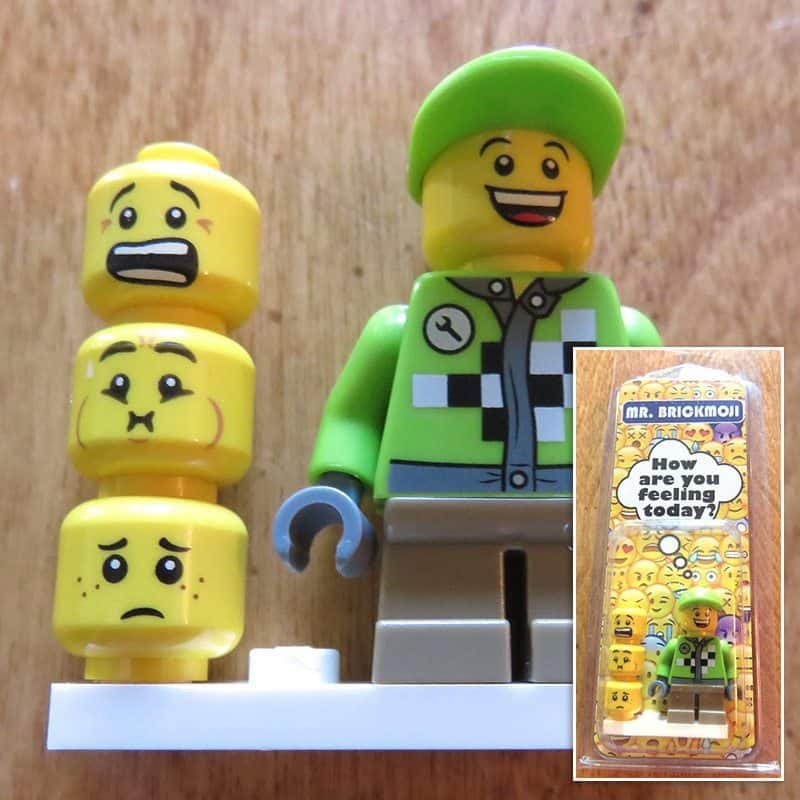 The Head Case is shaped just like a Minifigure’s head, is perfect for storage of brick pieces or anything on your desk, and the sticker sheets allow you to customize by putting an emoji expression on the Head Case for any mood included. 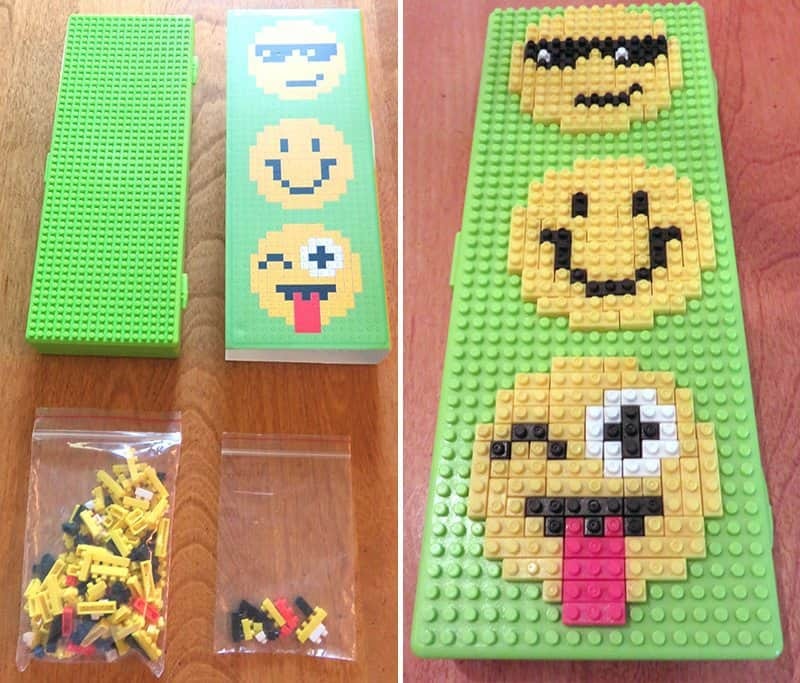 Emoji Case is perfect for storage of bricks or even pencils and pens. Create your favorite emoji expressions on the lid for fun decoration with the pieces provided. 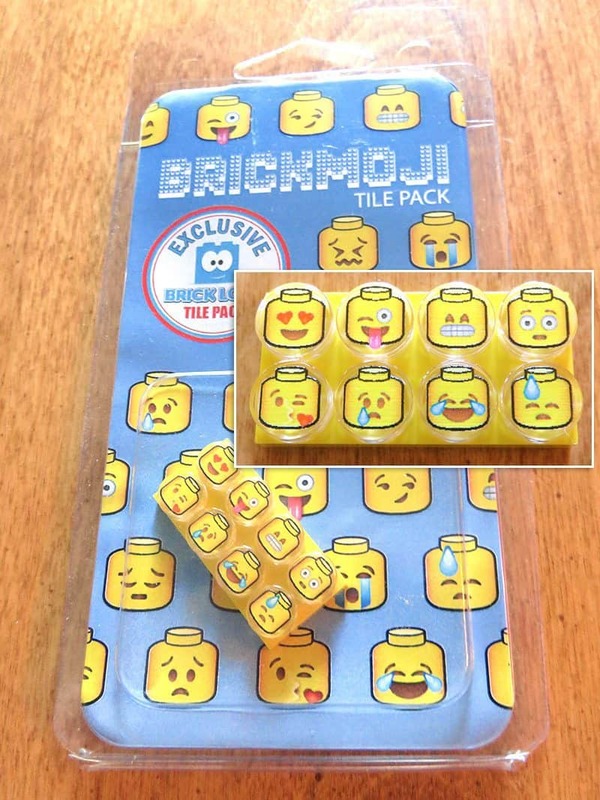 The Brickmoji Exclusive Brick Loot Tile pack is fun for snapping on to a favorite build and contains 8 different emoji expressions. 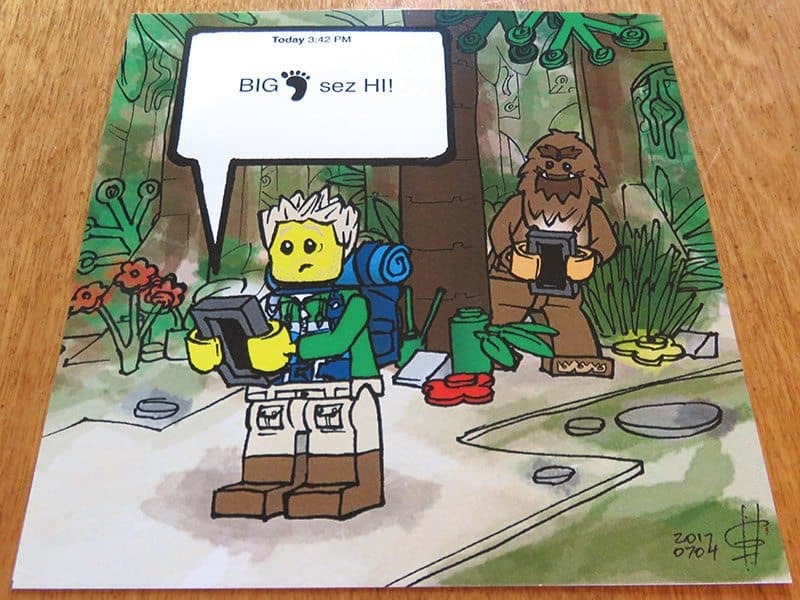 The Exclusive Art Print by Greg Hyland has a fun scene with Minifigures and texting with emojis. Watch out for Bigfoot! Mr. Brickmoji Minifigure is a 100% LEGO Minifigure and there are 4 different emoji faces for fun times ahead. Pun intended. 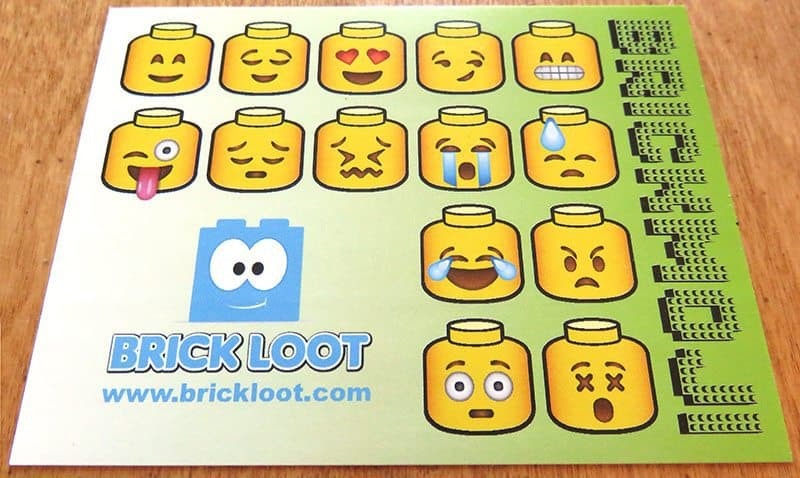 The Brick Loot sticker features the Brickmoji theme and a lot of emojis depicted on Minifigure heads. 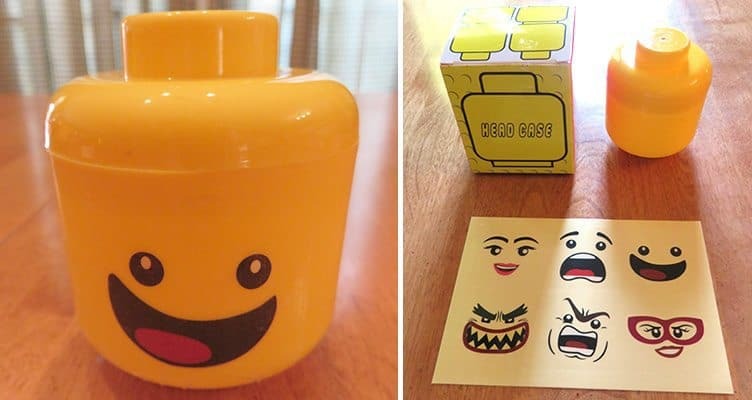 Our builder loves emojis, so this was the perfect Brick Loot theme just in time for back to school. He can store his pencils in the Emoji Case and his erasers in the Head Case while wearing his sunglasses. This month’s box was a huge hit with our builder. 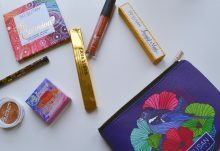 Exclusively for Find Subscription Boxes readers, use Brick Loot coupon code FSB10 to save 10% off any Brick Loot subscription!